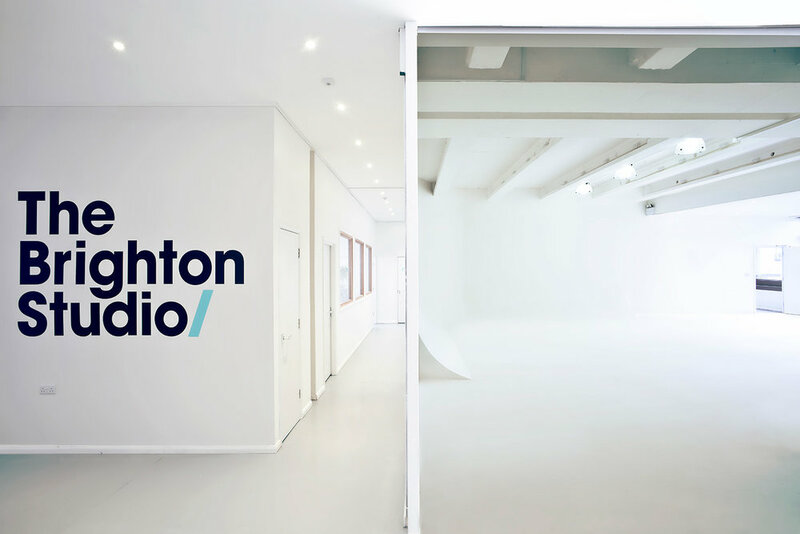 Our hire packages are versatile because we know the value of a flexible production space - whether it’s a space for product or headshots, or a full suite hire with three studio spaces. For larger scale productions this space is great and works equally well subdivided into different shooting areas. 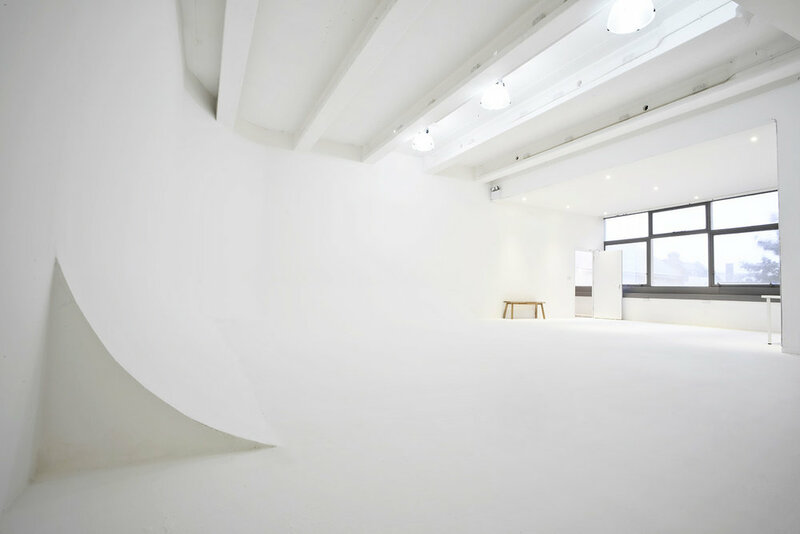 Studio A has a 1200 Sq ft shooting space and includes an infinity cove, a client area, blackout curtains and wall to wall windows enabling natural/daylight shooting. The space connects and leads to our custom built make-up/dressing room. Please note, Studio A is not a sound stage. Ask us about sound control methods if you're planning to record audio in Studio A. The studio hire fee is required in advance to secure your booking. our second largest cove space is great for controlling light for blackout & perfect for smaller scale eccom work. Studio B has a 400 Sq ft shooting space and includes an infinity cove and full blackout if required. 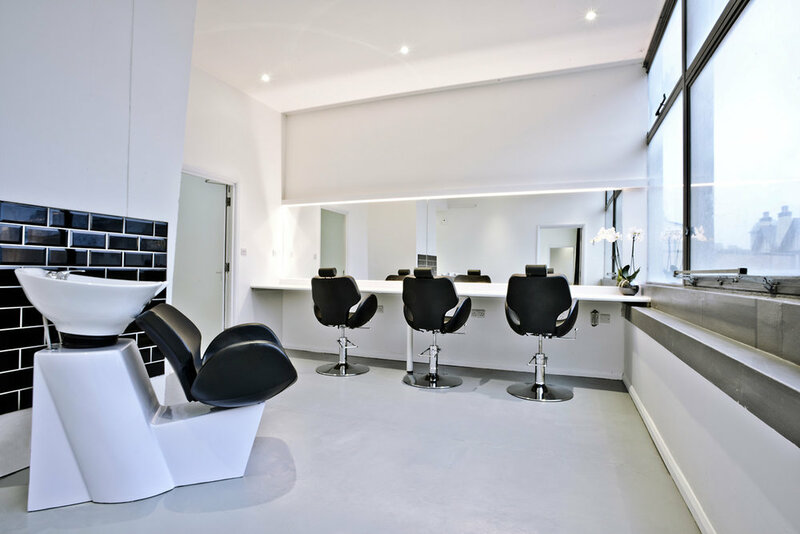 The space connects and leads to our custom built make-up/dressing room. Please note, Studio B is not a sound stage. Ask us about sound control methods if you're planning to record audio in Studio B. WITH WALL TO WALL NATURAL LIGHT, workspace is IDEAL FOR portraits, LIFESTYLE AND PROJECTS REQUIRING DAYLIGHT PHOTOGRAPHY. Workspace has a 400 Sq ft shooting space with a wall mounted Colorama background rack. Workspace has it’s own make-up and changing area. Workspace is not a sound stage. Ask us about sound control methods if you're planning to record audio in Workspace. *unsoiled paper to the floor only. Floor cover or waste incurs a p/m fee. Please see Rates. There's more that goes into creating the image than pointing the camera and clicking a button. From backdrops to lighting, invisible mannequins to product tents, we can help you get the shot. The Brighton Studio is equipped with top-of-the-line Profoto D2, D1 and B1 Air heads plus light shapers & Kino Flo lighting equipment. We can introduce you to a wide range of HMI, Tungston and LED lighting all within the same building too. We have plenty of other useful stuff too: Eizo Screens, C-stands and support systems, Apple boxes, Flats, Sandbags and Polyboards. Our extensive range of full size Colorama backgrounds means that you've got plenty of colour options for your shoot, and Colorama is free to use! If you only need the background pulled to the ground without waste, there is no charge for use. *If you require floor cover, there is a wastage fee p/m. Please see our Rates card for info. To find out what we have available, drop us an email. Would you like sides with that? If you’re after more than a dry hire, we have a number of services to help spice up your production. Contact us with your needs and your budget and we’ll generate a bespoke quote for you. Breakfast, Buffet, Lunch or Afternoon Tea, we deliver fresh, seasonal and delicious food upon request at The Brighton Studio. Produce is always locally sourced where possible, our menus are big on flavour and nutritious so that your clients and team feel energised throughout the day. We can cater to most diets and offer a number of different menu options to suit your budget and preference. We’ve a roster of local crew. Let us know what and who you need! Photographer, filmmaker, lighting design and gaffer, sound recordist, producer, set-designer and stylist, hair & beauty, wardrobe design and stylists, art direction, digi-op etc. 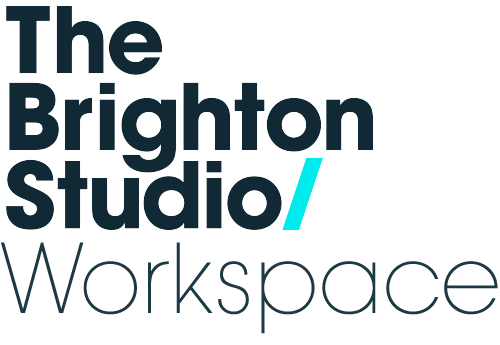 The Brighton Studio is at street level with easy access via our large goods loading bay and access ramp. We’re the perfect space for bespoke set designs. Our set builder can facilitate all of your construction needs and will work to detailed requirements to construct your set. If you need some simple film-ready flats to add dimension and interest to your shoot, ours are pre made and available to hire in-house as stage flats, v-flats or l-flats. Pick your flat set up and your colour and we’ll make sure it’s prepped for you ready for your shoot.